Why Choose Our Physiotherapy in Toronto? 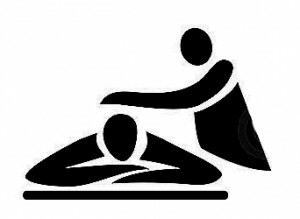 There are many physical injuries and painful conditions that respond well to physiotherapy, which is why it is one of the most popular rehabilitation treatment options for those who have sustained injuries in domestic or road traffic accidents as well as for those whose sporting activities result in muscle strains, compressed nerves and other soft tissue damage. If you are interested in finding out how a professional physiotherapist can help you to recover from illness or injury, please call our clinic or use the contact form provided to request further details. Our highly experienced consultants are always happy to answer questions about the type of treatment they offer and will arrange an appointment for you to be assessed if they believe that a course of physio is your best option. Shoulder Injuries – Many chronic and acute shoulder injuries respond very well to physio so if you are currently experiencing pain in this area of your body, please do not hesitate to make an appointment for a session of physiotherapy in Toronto. In the event that we feel physio is not the right option for you, we will suggest an alternative treatment option at our clinic or recommend that you visit your local doctor for further assessment. We always conduct a comprehensive examination before deciding on a treatment plan so you can be sure that we will look after your best interests when you visit us. Lumbar Spine Injuries – Injuries to this part of the body can result in chronic mobility problems that have a detrimental effect on the quality of life you enjoy on a day-to-day basis. However, many such injuries can be treated with physiotherapy in Toronto so it is well worth contacting us if you are suffering from lower back problems. Work-related and Sports Injuries – A number of injuries commonly sustained at work or while participating in sporting activities can be successfully treated by a course of intensive physio, as many of our patients have found out for themselves. If you would like to find out whether we can help you to recover from a painful injury, contact us today to book an initial consultation at our clinic. We can arrange appointments in the evening or on Saturdays for those who find it difficult to attend during normal working hours. In addition to being capable of treating many different injuries and other painful conditions, our therapists are experienced diagnosticians, which means you can rely on them to provide you with honest and accurate advice when you are not sure exactly what is wrong with you. If you are suffering from pain on a daily basis and your doctor cannot help, call today to discuss our physiotherapy in Toronto and find out how it could benefit you.